What Are The Names of The Reindeer That Pull Santa's Sleigh? Rudolph, Dasher, Dancer, Prancer, Vixen, Donder, Blitzen, Cupid and Comet. Male reindeer generally shed their antlers long before December 25, whereas the females retain theirs until at least January. 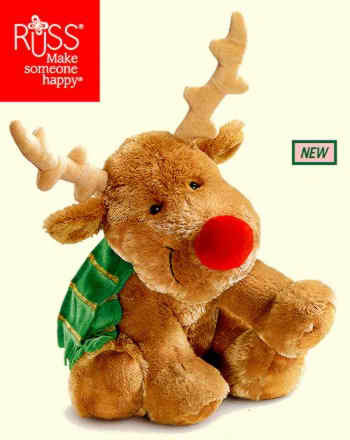 The reindeer pulling Santa's sleigh are always show as having antlers, so Santa's reindeer must all be females. A hard look at the evidence suggests that at least some of Santa's reindeer were females (the ones giving the directions, no doubt), some may have been young bulls, and some may have been neutered males. Santa also has special bulls (males) which are used for breeding purposes. These reindeer are not used for flying the sleigh, only for breeding. Do Santa's Reindeer Live At The North Pole? and the elves (their summer home) somewhere on the Korvatunturi mountain in the Savukoski county of Lapland, Finland, which is on the Finnish-Russian border. What Makes Santa's Reindeer Fly? The Reindeer driven by Santa Claus are the only known flying Reindeer in existence. Besides the Magic Dust, Santa's reindeer are fed a "special" diet throughout the year which helps give them the power of flight. wonderful unknown wizard. Through this magic corn, the strength of the Reindeer is increased threefold, their stamina increased to infinity and their hooves can manipulate the air as though it were solid ground. What Can I Put Out For Santa's Reindeer To Eat? Mix ingredients together. On Christmas Eve sprinkle all over your lawn. The colored sugar will shine in the moonlight and lead Santa to your house before dawn. The smell of the oats will guide the reindeer directly to your rooftop. The Christmas hope in the magic reindeer food guarantees dear Santa will stop. What Are The Words To "Rudolph The Red Nosed Reindeer"? You'll go down in history. " in the Arctic regions of the world. down with any amount of cargo. 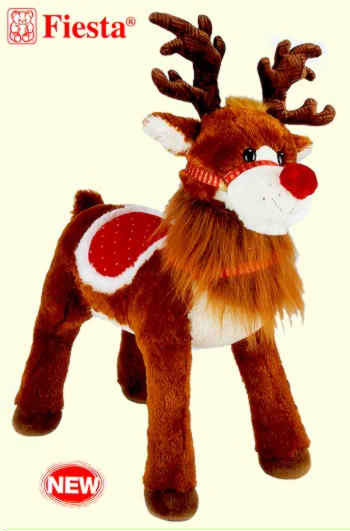 Thus, nine Reindeer would be able to pull a sleigh with 13,500 pounds of toys for an unlimited amount of time. his Toyshop to pick up as many loads as necessary. that Santa has "secret" hiding places located at strategic places around the world, so he can instantly pick up a new load of toys easily and quickly. very close to your house?